As President and CEO, Jeff brings 25 years of retail, point of sale (POS) and systems experience and expertise to the REDList organization. In this role, Jeff directs all strategic aspects of the business including driving the company's growth and mission to deliver innovative solutions to the retail community that enhance, enable and extend their current investment in POS systems. Under Jeff’s guidance, REDList also aims to usher in a new era when POS data is available on an immediate basis, anytime, anywhere and on any platform. Prior to founding REDList, Jeff held various challenging positions including Post Software International in Wake Forest, North Carolina, Info System of NC in Charlotte, North Carolina and PACE Membership Warehouse in Aurora, Colorado. Jeff holds a Bachelor of Arts degree in Mathematics and Computer Science from the University of Colorado in Boulder, Colorado. To connect with Jeff Boyle, contact us today. As Vice President of Finance, Brigitte brings 20 years of systems and financial management experience and expertise to the REDList organization. In this role, Brigitte directs all financial aspects of the business including accounting practices, budgeting, financial planning, interface with the financial community, financial analysis, acquisitions and ventures, and monitoring of financial performance. 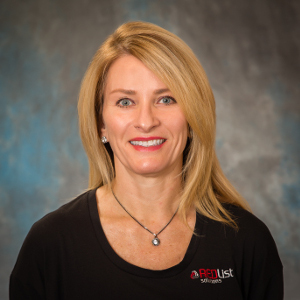 Prior to joining REDList, Brigitte held various challenging positions as IT Manager for Emhart Teknologies, a division of Black & Decker, in Chesterfield, Michigan, Project Manager for Datanational Incorporated in Farmington Hills, Michigan, Project Manager for Exide Electronics, Incorporated in Raleigh, North Carolina and Staff Consultant for Whittman-Hart in Chicago, Illinois. Brigitte holds a Bachelor of Business Administration degree in Finance from Loyola University of Chicago. To connect with Brigitte Boyle, contact us today. 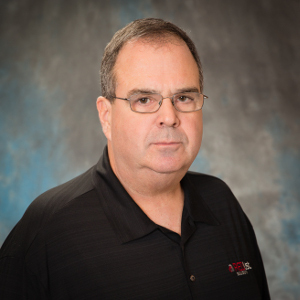 Doug Evans, Vice President of Product Development at REDList Solutions., is a seasoned veteran with more than 20 years of experience in the design, development, and implementation of cutting-edge retail solutions. In his role as Vice President of Product Development, Doug is responsible for the quality implementation and integration of REDList Retail Solutions. His experience ranges from “host to post”, including Point of Sale, Electronic Payment Systems, Mobility Solutions, Back Office and Cash office systems, Merchandise Management, Inventory, and price management. Prior to joining REDList, Doug was the Vice President of Retail at Wincor Nixdorf, a global solution provider in the retail and banking sectors. Mr. Evans also held the position of Director of Retail Solutions at Wincor. 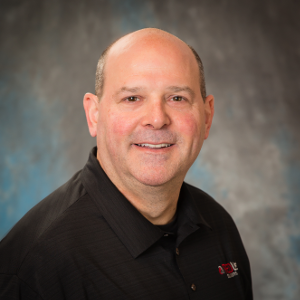 Before joining Wincor Nixdorf, Doug was the Vice President of Technology at ADS Retail, an IBM Retail Business Partner, where he was responsible for all retail product development, support, and implementation. Doug was an early supporter of ARTS and UPOS, releasing one of the first Java-based POS applications to be installed at a US Retailer. To connect with Doug Evans, contact us today.